Today I’m welcoming one of my favorite bloggers, Malia from Playdough to Plato. 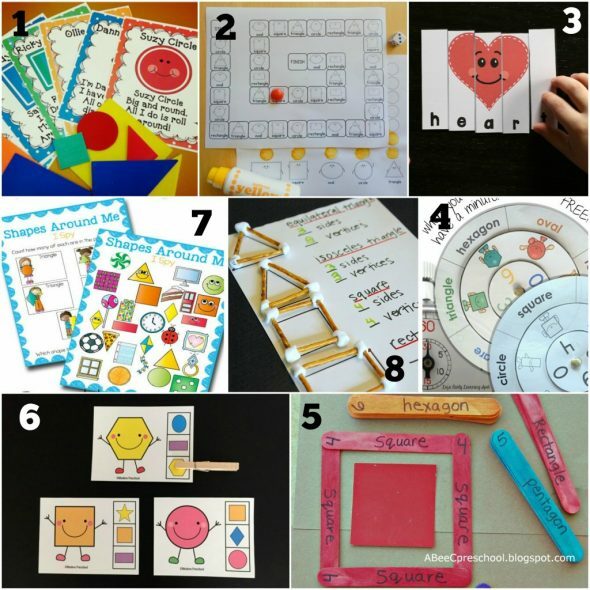 I’ve always been impressed by her top notch site and printable activities. And since I’ve had the chance to meet Malia in person at a blog conference, I’m blessed to call her a dear friend. 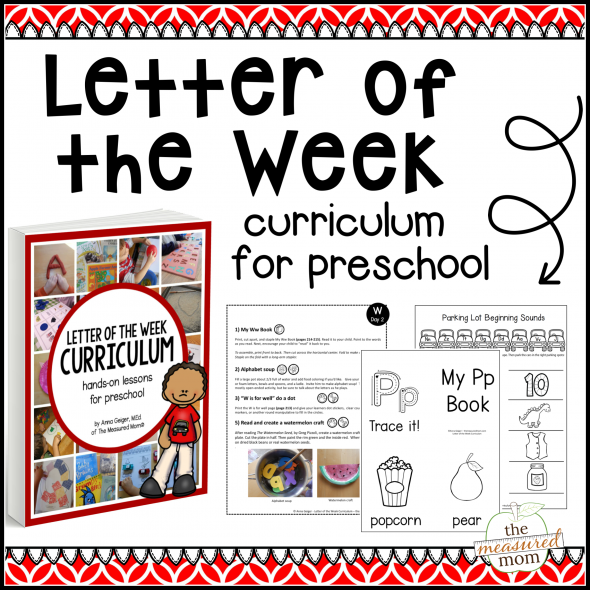 Be sure to visit her site for tons of early learning ideas and printables! 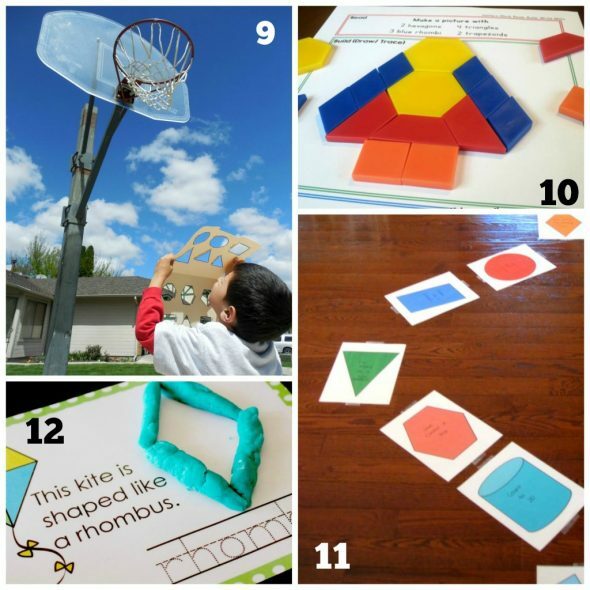 There are so many hands-on, motivating ways for learning shapes. 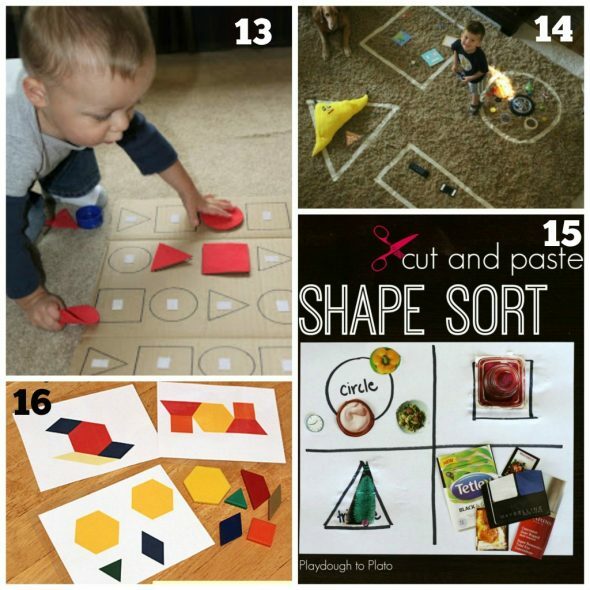 Whether you’re looking for a math center, homeschool activity or rainy day project, these shape games are sure to do the trick! 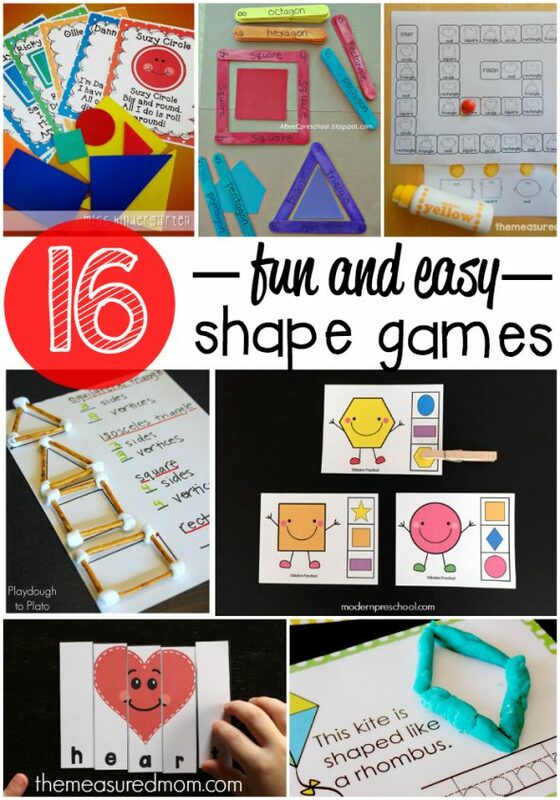 Help kids learn the names and characteristics of shapes with these fun-filled ideas! 2 – Practice basic shape names with a simple roll and tally game. That’s 16 fun, motivating shape activities in all. What’s your favorite? 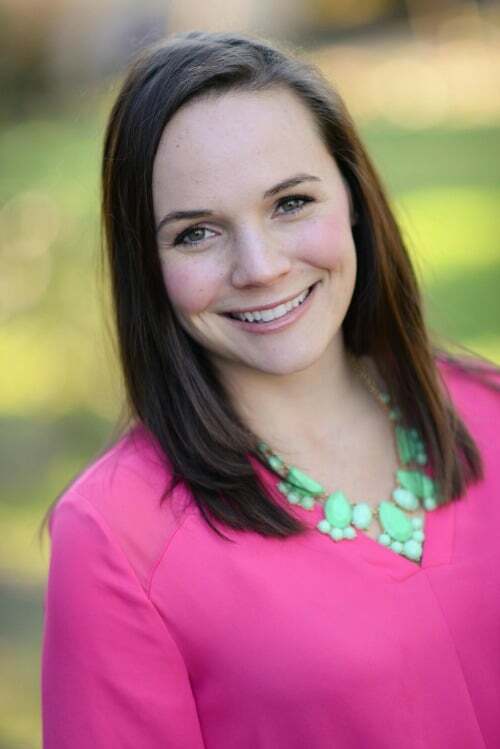 Malia is a National Board Certified elementary teacher and the blogger behind Playdough to Plato – a site sharing fun learning activities for kids. Follow along with her science experiments, literacy activities, math games and more at Playdough to Plato, Facebook, and Pinterest. © 2016 – 2017, Anna G. All rights reserved. Thank you for providing such great resources. I love the printable books! Ever since my laptop was updated to Windows 10, I don’t have email on it, so everything I get is on my phone and it doesn’t do me any good. All the printable I’m anxious to print. I don’t know too much about the computer so I don’t know what to do. Any suggestions?? Hi Linda, Have you tried visiting this site on your laptop and printing from there? You don’t need e-mail to access my blog. Just go to themeasuredmom.com and use the search bar (top right, under the menu bar) to find something. Being a newsletter subscriber means you get newsy notes from me along with updates about all the newest posts, plus news about special sales. But it doesn’t mean you have special access to the site. Anyone can visit my site and download the printables.